The latest Toy Story 4 image features Woody, Buzz, Forky, and Bo Peep running from the carnival that we’ve seen in previous pieces of promotional material. The latest image comes after we were treated to a picture of the mysterious return of Bo Peep earlier this week. The most recent image shows the character in a design that has fans more than a little puzzled. Bo Peep was missing from the third installment, and now she’s back with a completely new look. In addition to the image, a synopsis was revealed, adding some more information to what we already knew. The carnival that is shown in the latest Toy Story 4 photo leak was first seen in a teaser trailer that Disney released. The footage in question featured Keegan-Michael Key and Jordan Peele as two stuffed animals teasing Woody and Buzz. The image comes from an alleged official Russian Disney calendar, which also includes the synopsis. The synopsis reads. The new Toy Story 4 calendar synopsis goes with the previous information that we were given about the story, but hints at the possible romance between Woody and Bo Peep. When the sequel was originally announced, it revolved around Woody and gang going on a search for Bo Peep, but the story has shifted since then. However, it appears that Bo Peep has been found and she’s ready for adventure in the highly anticipated sequel. Forky is one of the new friends who has already been introduced in previous Toy Story 4 promotional material. Bonnie constructs the new toy out of spork and the character is caught in a middle of a crisis when he discovers that everything has a purpose. A toy is made for a child to play with, but Forky is made from an eating utensil, so part of the movie will involve the character trying to find his purpose and where he fits in with his friends and the world. 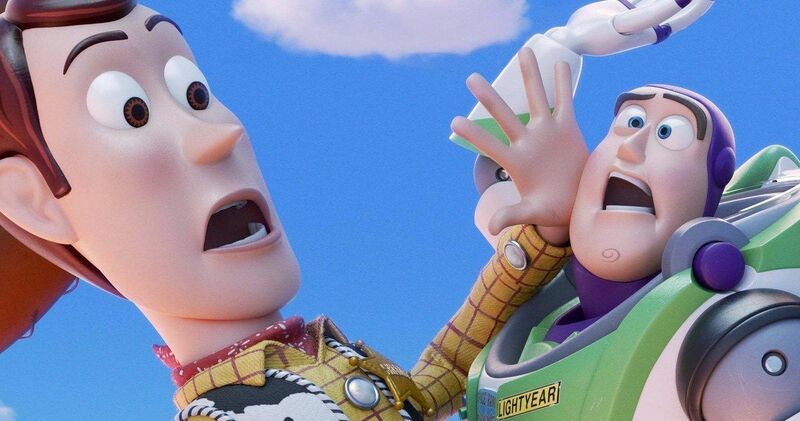 Toy Story 4 marks a new beginning for Buzz, Woody, and the rest of the crew. Many fans believed that the third installment was the perfect way to put an end to the franchise, so there has been some skepticism over the sequel. Tim Allen and Tom Hanks have teased that the movie is pretty emotional, with both actors revealing that they had a tough time reading their final lines. Who knows, maybe Forky will lead the franchise from here on out as Woody and Buzz are possibly phased out. You can check out the latest image from Toy Story 4 and the synopsis below, thanks to the MMDisney Instagram account.